I’m attracted to digital design because it allows me to solve real problems and create something that people will interact with. 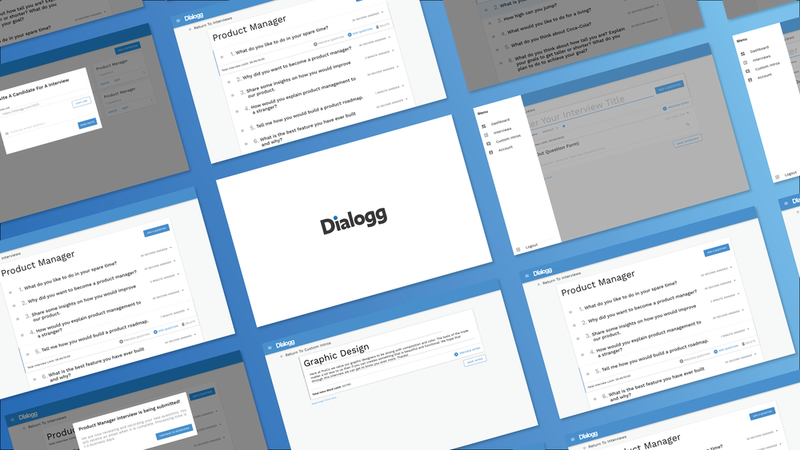 A small team and I built Dialogg from the ground up to provide Human Resources with a tool to create, manage, and automate custom phone interviews. With this project, I named the product, created the branding, as well as designed user paths and user interfaces. We created a MVP, which was then tested with users. Dialogg was and is a success.